Bring your lawn chairs or blankets and enjoy the jazz! Sunday, March 1, 1-4 p.m.
Blooms? Rosemary scrub? Shiny lyonia? Enjoy a leisurely walk on the west side of Manasota Scrub Preserve exploring regions seldom traveled by the regular visitors. Sarasota County volunteer guides, amateur botanists and Florida Native Plant Society members, Denny Girard and Al Squires will show plant detectives where to find the early bloomers thriving within the preserve. You never know what you may discover. Wednesday, March 4, 9-11 a.m.
Join respected local birders and Sarasota County volunteers in a sunrise birding adventure that will lead you through pine and scrubby flatwoods with wonderful views of Lemon Bay during your hike. Along the way you may encounter native plants and animals, a variety of shore birds (such as Anhinga’s and Snowy Egrets) and birds of prey (like Bald Eagles and Ospreys). Wednesday, March 4, 8-10 a.m.
Join a Park Naturalist to learn about our most threatened species, the Florida Scrub-jay, the only species of bird endemic to Florida and one of only 15 species of birds endemic to the United States. Help teach others the importance of protecting them and what we can all do to help. First Wednesday – monthly until April 2015, 10 a.m.
For more information, contact Brooke Elias via emailbelias@scgov.net or call 941-861-5000. Friends of the Legacy Trail (FLT) Surrey Program offers a way for mobility challenged residents and visitors who would otherwise be unable to share in The Legacy Trail to enjoy the experience. You will be able to sit back and enjoy the ride on a 4-passenger, 4-wheeled canopy covered bicycle while volunteers provide the pedal-power. 10 a.m., 10:45 a.m., 11:30 a.m., and 1 p.m.
Local fruits, vegetables, herbs and plants for sale as well as local foods and artisans handicrafts. Live music, free parking, and volunteers ready to assist you. FREE docent guided tours of Edson Keith Mansion: Meet at 10 a.m. Pets on leash welcome. For more information on the Phillippi Farmhouse Market or how to become a vendor: Call 941-275-9397 or email president@foscp.org. Master gardeners will be in the demonstration garden to give free tours and advice on Florida gardening. Thursday, March 5, 9 -11 a.m.
No registrations necessary.For information call 941-861-5000. There are many customs and superstitions about the moon. Learn how Native Americans and other cultures considered the moon while sharing folklore and stories with Sarasota County Park Naturalist Brooke Elias for a trail walk lit by the rising full moon. Let the intrigue of Pocono Trail Preserve come alive in the moonlight while enjoying the preserve’s meandering trails through scrub and pine forests. Thursday, March 5, 7 p.m.
Bring your lunch, a lawn chair or blanket and enjoy the concert! Art Center Sarasota’s Watercolor Wednesday Painters, 11 a.m.
Did you know that sea purslane has been used to clean stagnant waters? Have you heard the legend that inspired the name of Spanish moss? Join Florida Master Naturalist Tina Sebastian for a leisurely walk while discovering fascinating facts about the plants that grow there. Friday, March 6 & 27, 9-11 a.m.
Get fresh air, meet new people and get healthier and stronger! Enjoy a gentle workout walk that improves health, balance and overall fitness with a series of exercise equipment along the trail for fitness stops. Goals: Minimize risk of falls, increase sense of well-being and quality of life. Wear athletic shoes, sun protection, hat, and bring drinking water. Approx.1 mile on paved and relatively even unpaved trails. Join Sarasota County Environmental Specialist and super sleuth, Jeff Weber, as he leads you on an informative fun journey of discovery through pine flatwoods and oak hammocks highlighting both native and non-native plants and animals of the preserve. Monday, March 9, 9-11 a.m.
Join super sleuth, Jeff Weber, as he leads you on an informative fun journey of discovery through oak hammocks highlighting native and non-native plants and animals. Enjoy hiking thru the preserve (once the site of the famed Pollyanna Inn in 1922), while catching glimpses of eastern red cedars, cabbage palms, Boston ferns and views of Dona Bay. Thursday, March 12, 9-11 a.m.
Take a informative journey of discovery, looking for signs of springtime in the longleaf pine flatwoods at Curry Creek Preserve. Longleaf pine habitats once covered more than 90 million acres in the southeastern U.S. but have dwindled to less than 5%. Investigate the wonders of this critically imperiled habitat, learn about the life history of the longleaf pine and discover the wide variety of plants and animals characteristic of this unique ecosystem. Got bikes? It’s perfect weather to grab the whole family to join Carlton Reserve volunteer guides David Reynolds and Gary Vasbinder for an off-road wilderness bicycle ride through the beautiful Carlton Reserve. Expect to see lots of wildlife! Must be able to ride an off-road type bicycle. Sunday, March 15, 10 a.m.-12 p.m. Please call David Reynolds directly at 941-412-5575 or Gary Vasbinder at 941-893-7729 for specific requirements. 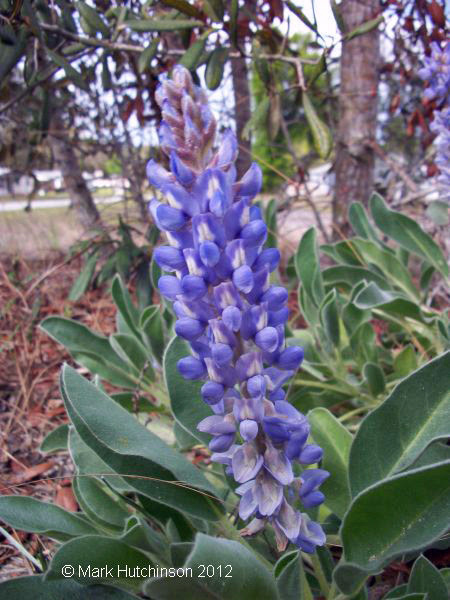 Explore South Venice Lemon Bay Preserve with Denny Girard and Al Squires in a search for Sky blue lupine (Lupinus diffusus), one of Florida’s most beautiful wildflowers. As you hike through scrub, flatwoods, and coastal woodlands that border beautiful Lemon Bay, Denny and Al will share information about spring native vegetation, and the Florida scrub-jay that make their home on this preserve. Wednesday, March 18, 9-11 a.m.
Saturday, March 21, 10-11 a.m. Learn how the use of rain barrels can conserve water, save money by reducing the use of potable water in landscapes (lower utility bills), and reduce stormwater runoff by storing and diverting runoff from impervious surfaces (roofs). Practical tips on the construction and installation will be provided. Rain barrels for sale for $37 each, includes tax and spigot assembly. Cash or check accepted. To register for this free class: Please use the IFAS link on the right hand column of this newsletter. Calling all birding enthusiasts! Be tantalized and wowed by the vast array of bird species and nature found at the beautiful Carlton Reserve. Join volunteer guide and local birder Charlie Sample as he leads you on a birding nature journey. Don’t miss this opportunity to help document the multitude of bird species on the Carlton Reserve outback. Sunday, March 22, 7:15 a.m.-1 p.m. Grab your binoculars and join local naturalist Bill Lewis as he leads you on a guided hike through the various habitats of Red Bug Slough Preserve searching for spring migrants and resident birds. You may also see common wetland bird species such as Great Egrets, Little Blue Herons, Wood Storks and various ducks associated with the slough. In all, more than 100 species of birds are known to inhabit the area within the preserve during various seasons of the year. Join Jeff Weber as he leads you on a woodland stroll from upland habitats to the shores of Shakett Creek at Pocono Trail Preserve. Along the way, participants may see a variety of plant and animal species including live oaks, eastern red cedars, cabbage palms, bracken ferns, osprey, wading birds and other wildlife common to the area. Wednesday, March 25, 9-11 a.m.
Join Jeff Weber as he shares tools and techniques used to manage Curry Creek Preserve, a suburban natural area site. You will get a “behind the scenes” glimpse into the decision making processes involved in developing a comprehensive management strategy for this site. Visitors will see firsthand the results of various management practices that have been successfully used at the preserve. Tuesday, March 31, 9-11 a.m. Attached here are directions to set up an account and to sign up for a free nature walk. You are receiving this email based on having previously requested to be included on our e-list for nature events. Please note, we do not share your information or email. Should you want to opt out from receiving this newsletter, just click the “Instant Removal” link at the bottom of the page and your name will be permanently removed from the list.